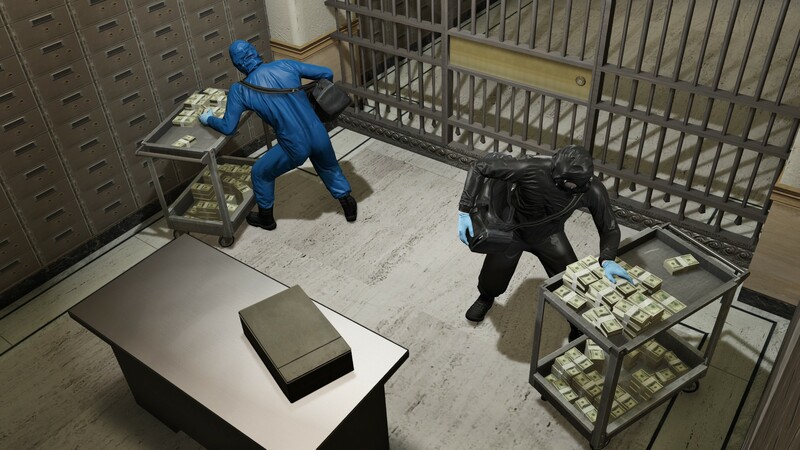 We hope you've saved some space on your hard drives, since the Heists are going to take up close to 5 GB of data on current gen consoles. A small hit to take, but the content is sure worth it. 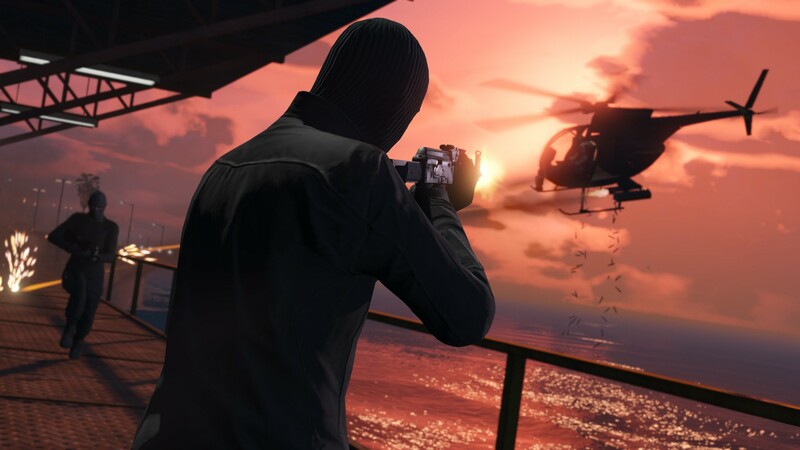 If you happen to be playing on a last gen console, however, only less than 2 GB will be used on your data. Of course, all of this content is going to be available for free. 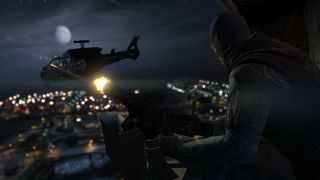 Again PC gamers, you'll have to wait until your version releases next month. 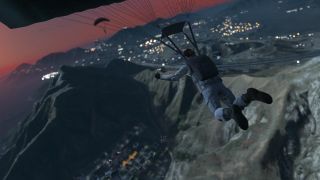 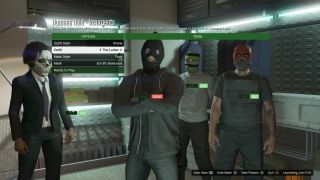 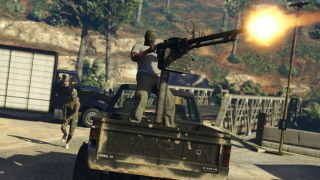 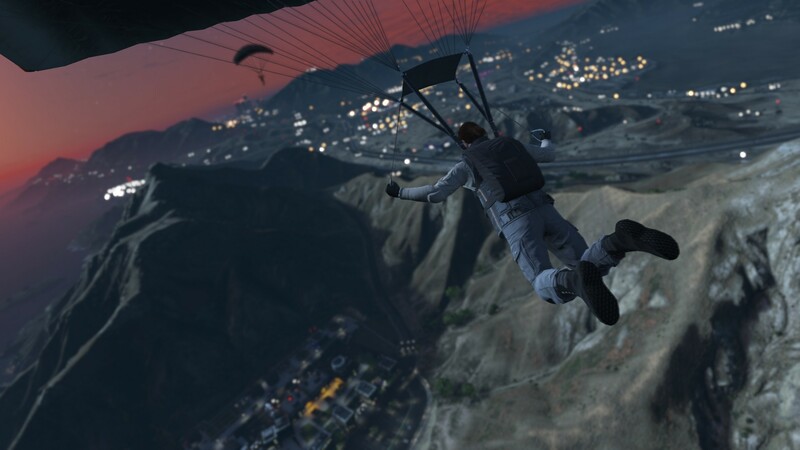 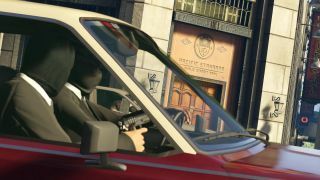 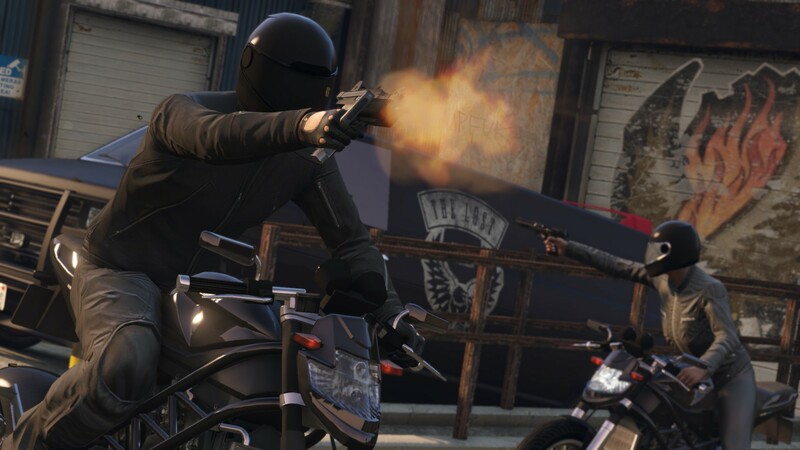 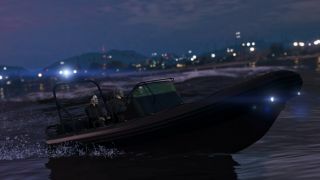 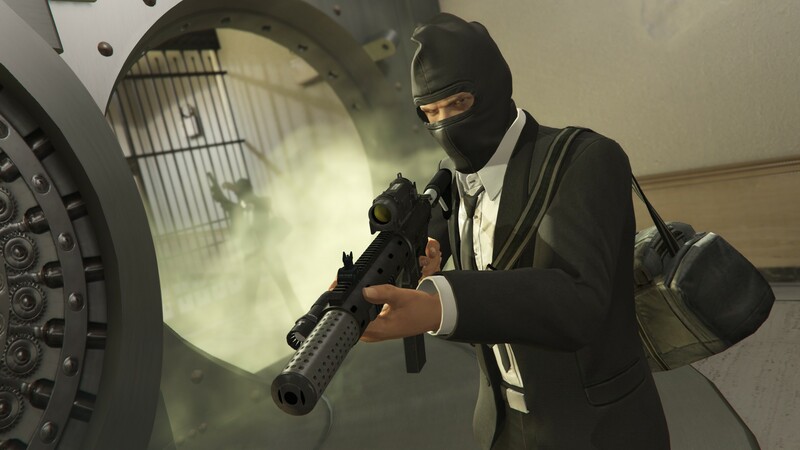 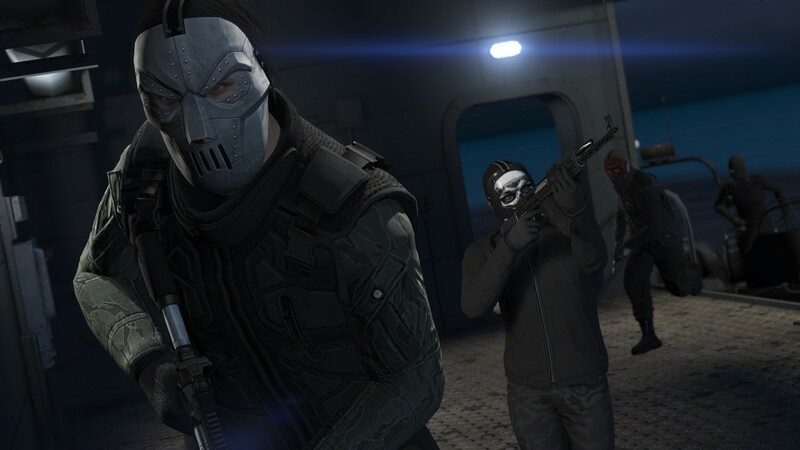 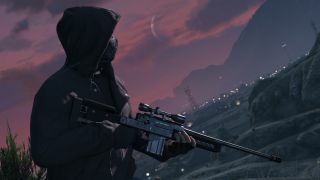 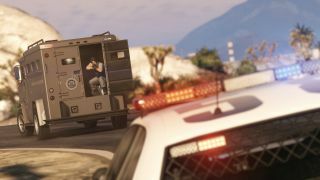 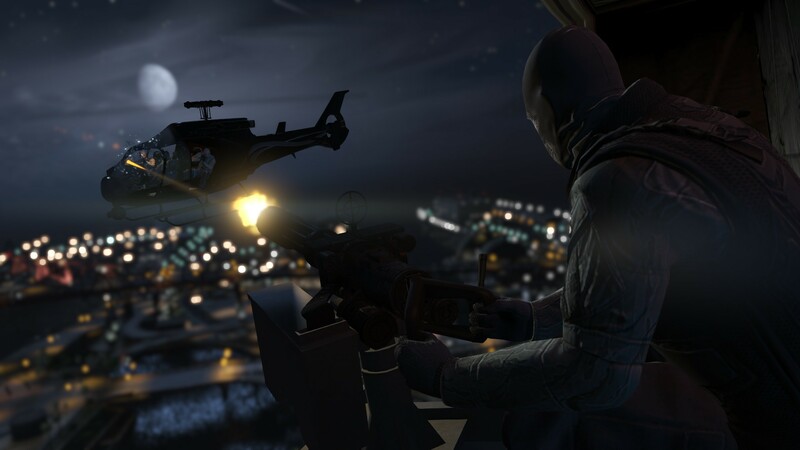 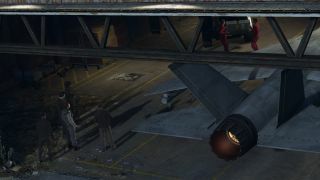 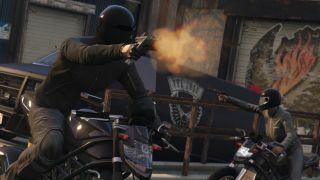 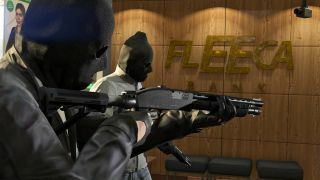 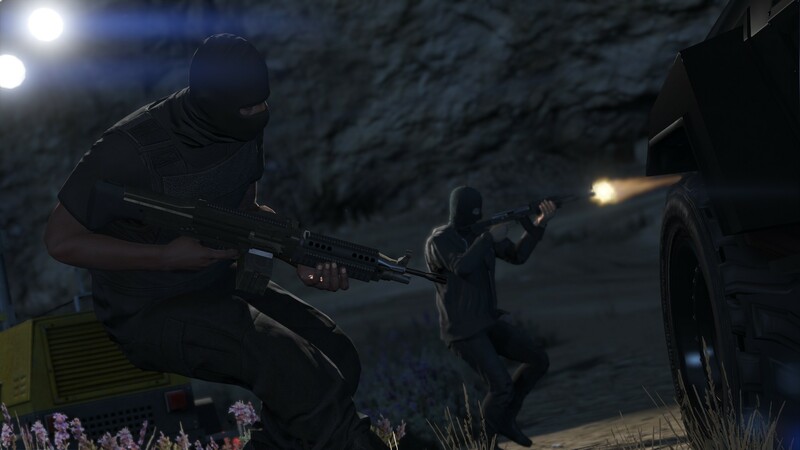 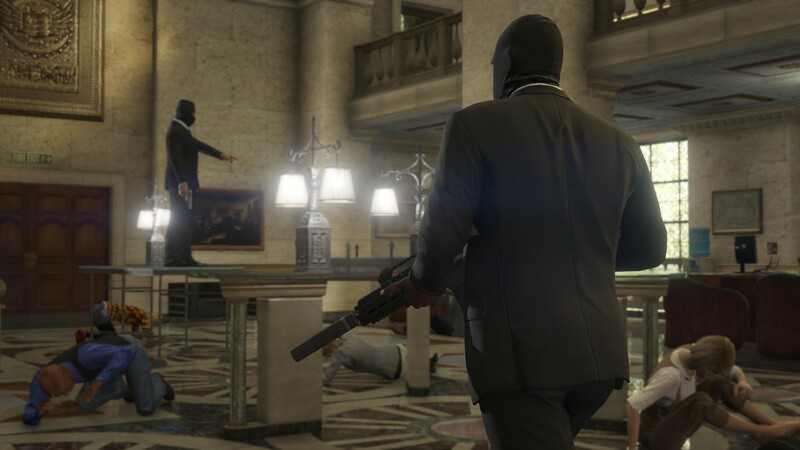 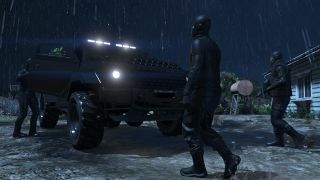 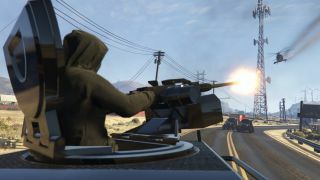 There will be five heist missions to complete with up to four players (bummer it can't allow for more), with an assortment of new vehicles and weapons to purchase for them. 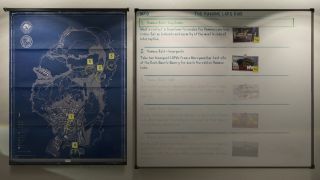 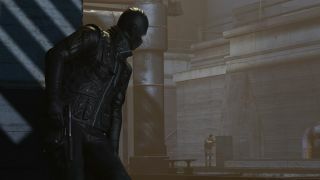 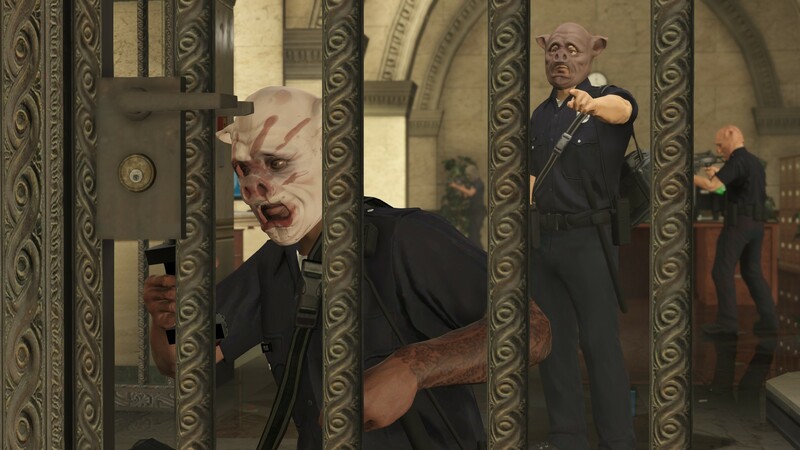 Players will even be able to dress for the part of being high class or low brow bank robbers, with a full ensemble of boiler suites, costumes, and masks at their disposal. 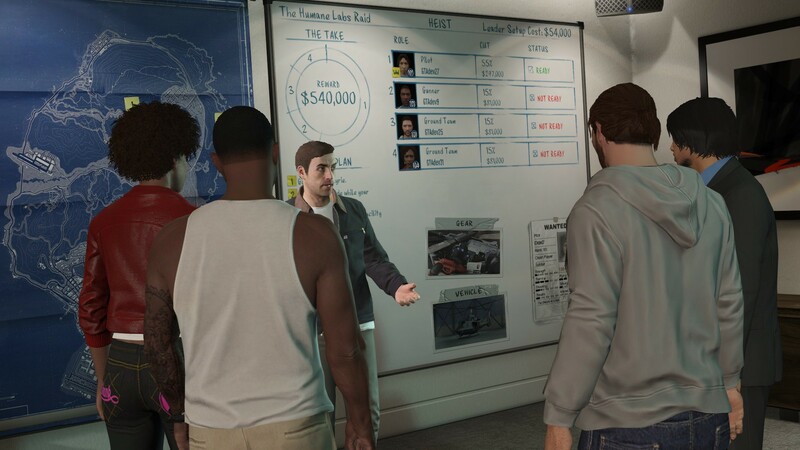 Shot Caller (10): Invest your hard earned cash to set up a Heist. Four Way (10): As Heist Leader set the Finale cut as 25% across all players. 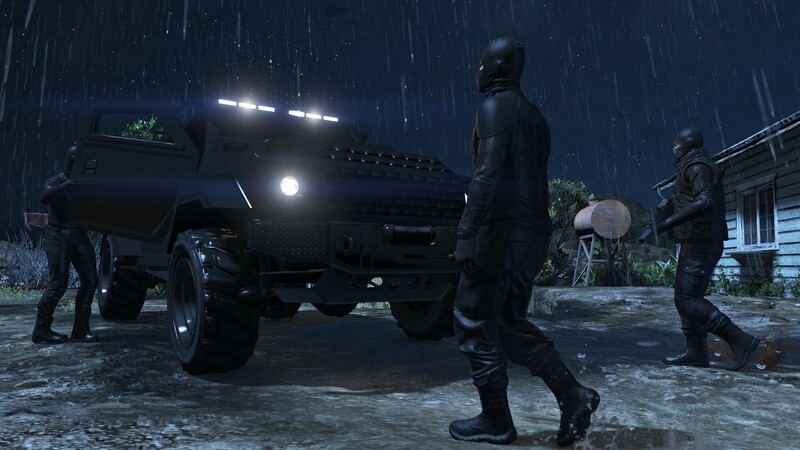 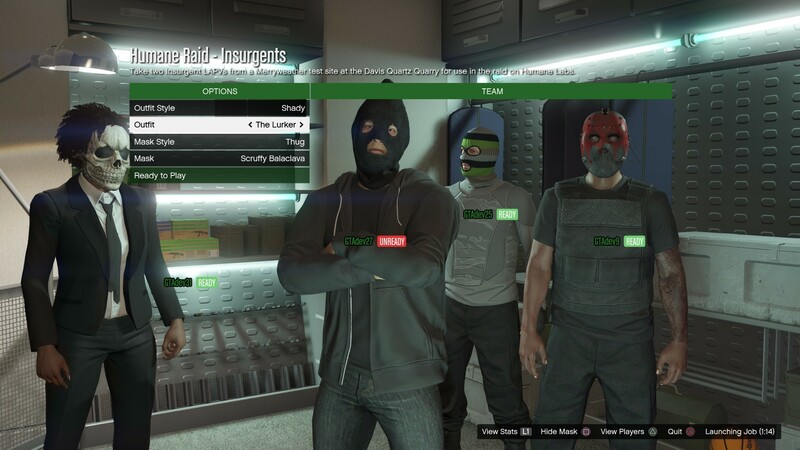 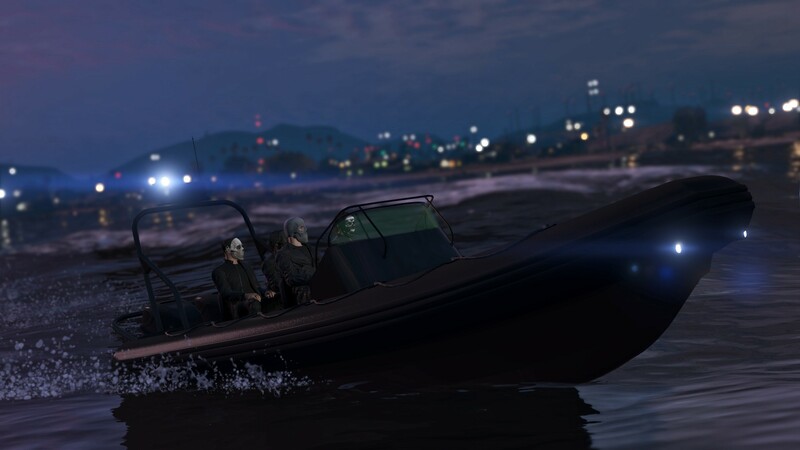 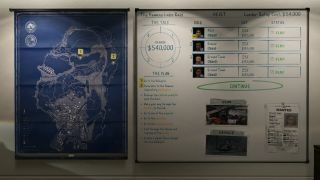 Live a Little (50): Spend a total of $8,000,000 purchasing vehicles included as part of The Heists Update. 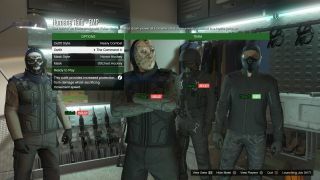 Can’t Touch This (30): Complete a Heist Finale without taking any damage. Mastermind (50): Earn 25 platinum medals across Heist Setups and Finales. 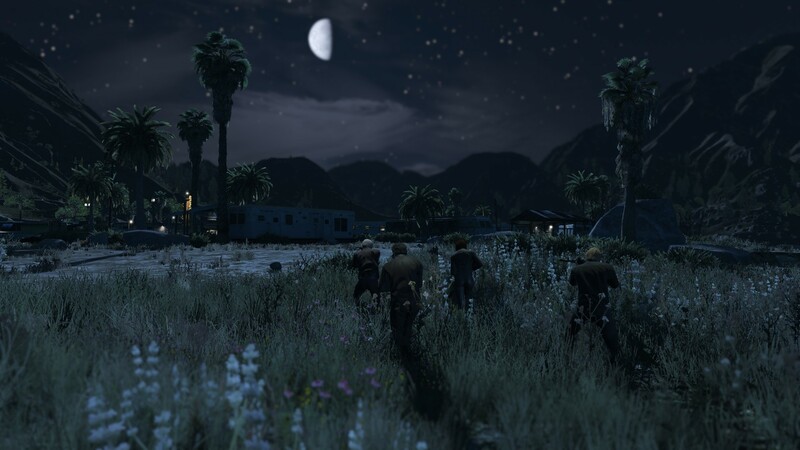 Be Prepared (10): Complete a Heist Setup mission. 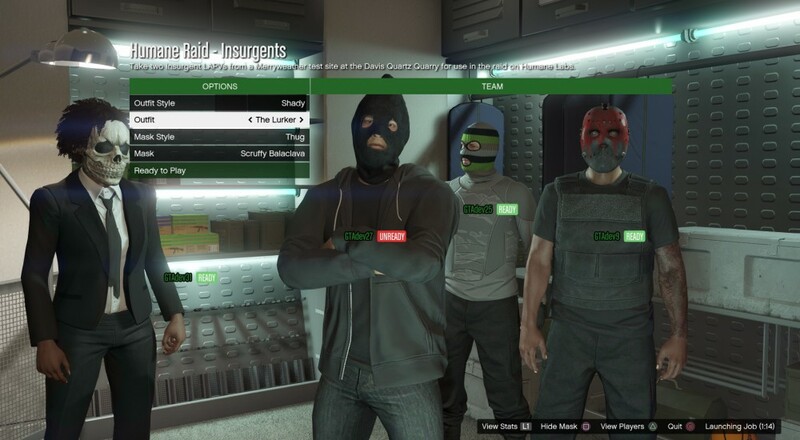 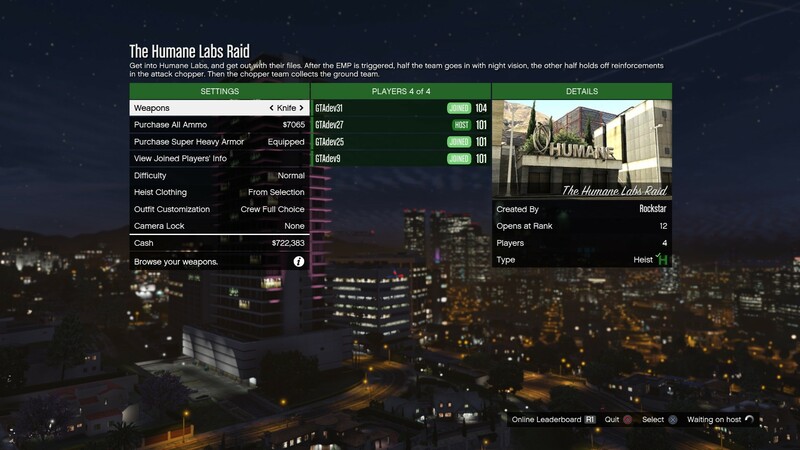 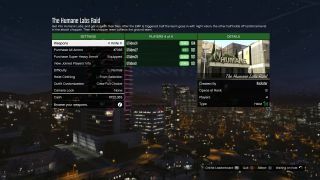 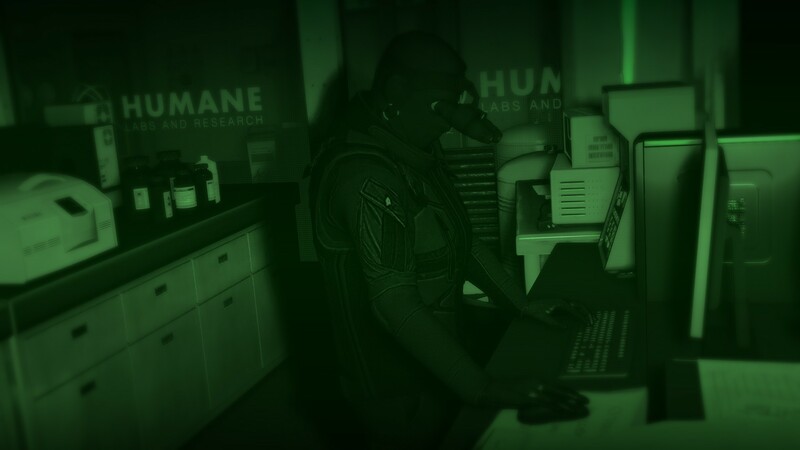 In the Name of Science (30): Complete The Humane Labs Raid and Series A Funding as Heist Leader or Crew. Dead Presidents (30): Complete The Fleeca Job and The Pacific Standard Job as Heist Leader or Crew. 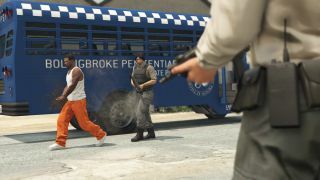 Parole Day (30): Complete The Prison Break as Heist Leader or Crew. 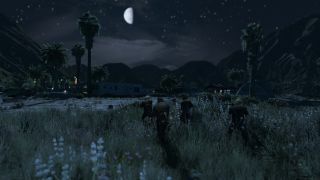 Again, have a great time enjoying this long awaited co-op mode! 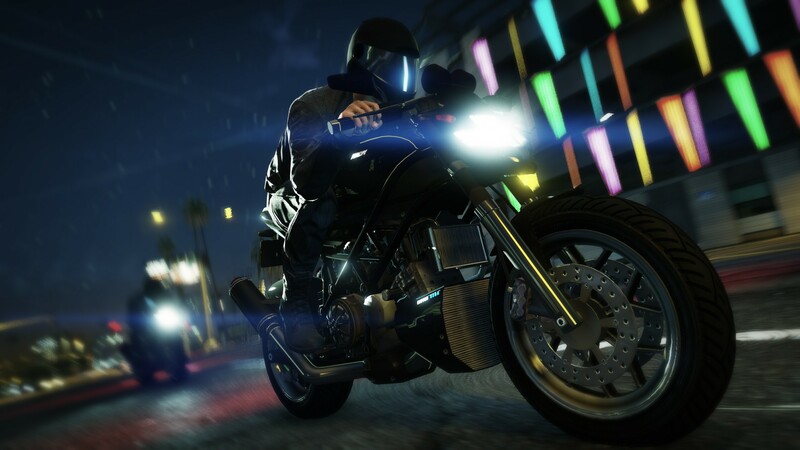 Let us know in the comments what you think of it! Page created in 0.4223 seconds.